Our Partners - NZME - Bags Not - Say 'Bags Not' to single-use plastic bags. As one of the biggest print companies in New Zealand, NZME is more than just keen to be green. 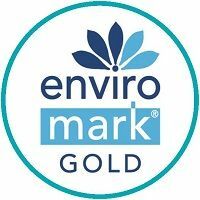 The positive action they’ve taken for a better environment has reduced their paper waste down to just 6.5%, helping to earn them an Enviro-Mark Gold certificate. Helping our customers engage with the tips and tricks on how to reduce their plastic waste, and support them through the journey.